Restroom Cleaning Services for You! Home » Linen, Facilities, and Uniform Services Blog » Bathroom Services » Who Needs Restroom Cleaning Services? Pretty much every single place that a person can work will have a bathroom inside of their facility. Whether they are only employee restrooms, or there are restrooms that are in place for staff and customers, there are bathrooms in virtually every business and office out there. This is one of the places that can get the dirtiest, and it’s the place in almost every business that is the most important to keep clean. Nobody wants to walk into a restroom to see it dirty and grimy. Running a business is tough though, and there are always things that need to be taken care of. The nice thing about making sure that your bathroom is always clean, is that you can actually hire a restroom cleaning service in order to ensure the cleanliness of your facility. Not only do most restroom cleaning services offer everyday service, but they also can supply restroom cleaning supplies. This makes it easier on your location, because you really don’t have to worry about anything other than finding a restroom cleaning service provider that you are comfortable with, and setting up a schedule that works for you. There are fees associated with having an outside provider come to your location, but even if you had your own staff working on your restroom cleaning, you are technically paying for it either way. 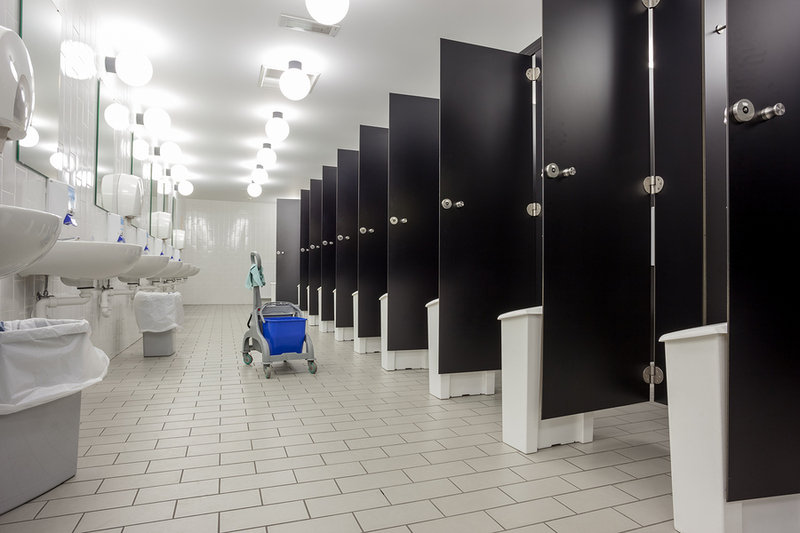 So why not have a professional come into your facility to ensure that your restroom cleaning is handled properly, as well as making sure that your location is never caught with a dirty bathroom?